There’s a new norm for marketing – the emoji. More brands are trying to incorporate emojis into everyday campaigns in hopes of drawing the attention of millennials and Gen Z. 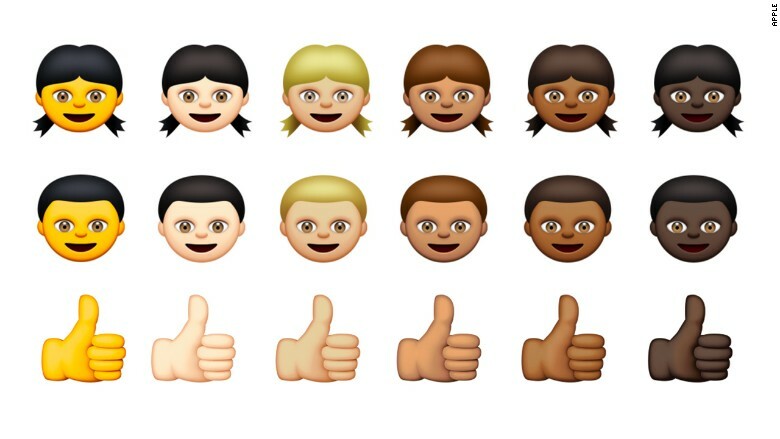 Even CNN is joining the emoji game by developing emojis for the 2016 election. Curious to find out what kind of guy you’ll find in San Francisco? Well, BuzzFeed released an article on the nine types of guys you’ll date by living out in the Bay. Who will you date – the Marina bro, the tech nerd or the Mission hipster? Tech PR isn’t always a cushy gig, but there are ways to make it easier. PR Daily discussed ten apps that can help PR pros multitask and be more productive in their day-to-day lives. Happy 10th birthday, YouTube! Over the years YouTube has become the top place for viewers to indulge in silly cat videos, explore new music and so much more. CNet explores how YouTube won our hearts through video. Reporters are flocking away from journalism and into the PR industry. This is one trend we don’t expect to let up anytime soon. Those are the latest tidbits from this week! Now go out and celebrate the weekend with a funny cat video. Speaking of Twitter, they’re just killin’ it with the new tweet within a tweet. This feature allows people to share and comment on tweets without having to shorten the original tweet, thus preserving meaning and context. We’re into it. Want to take a trip to Whatever, USA? Bud Light introduces native videos to Tinder, tempting users to swipe right for Bud Light for a chance to win. If you’re #UpForWhatever, at least that’s one match that can offer some potential. Hulu has provided users a catalog of GIFs from its TV shows, which in theory sounds thrilling. But branded with a Hulu hashtag, accompanied by a disclaimer, and created with a choppy frame-rate, we just can’t recognize these as the GIFs we know and love. Brands have been flocking to the baby of Siri and promoted tweets, otherwise known as ads on Kik. The app lets consumers get cozy and engage with brands through messaging. Are these conversations more engaging than your Tinder ones? Hard to say. And that concludes this week’s #WaitWhat. If nothing else I hope we have at least inspired you to take your dating app game to the next level this weekend. See you next Friday! And the Oscar goes to … digital marketing? The biggest award show of the year is this Sunday, and with last year’s viewership reaching around 43 million, digital marketers aren’t wasting a drop of that Hollywood advertising gold. Expect targeted social media campaigns and real-time interactive ad experiences, and probably Jennifer Lawrence somewhere. Va…Va…Viv! We never get tired of artificial intelligence stories, especially when they come from the hands of the creators of Siri. Viv, the AI interface that learns from the world to improve upon its capabilities, just closed on $12.5 million in Series B funding. Speaking of weird…check out this video game that gives you an anxiety attack. Italian game developers created Sym, a puzzle-platformer that becomes increasingly confusing and stressful as you reach higher levels. Are we going to play it? That’s a HARD pass. But no. Valentine’s Day might be over, but love is still in the air… and on your Netflix account. A new app called Binger takes a unique approach to digital matchmaking by comparing Netflix viewing data rather than personality questions or body measurements. Cool! Let’s just delete our viewing histories of Vanderpump Rules. That about wraps it up! Keep the news a-comin’, tech world. We love ya and we actually would be ruined without you. See you next week! Media Magnates: Does the Man Make the Brand? This past week, the world of broadcast media was sent through the wringer when the beloved Jon Stewart announced he was leaving The Daily Show and NBC suspended Nightly News anchor Brian Williams for six months following his absurdly unnecessary string of lies. What Stewart and Williams have in common is that they’re arguably broadcast television’s most famous faces. Their shows don’t support their personal brands; their personal brands make their shows. Without these two as the titular hosts, both nightly segments are at a crossroads in terms of future popularity. Obviously a certain level of iconic, untouchable celebrity does wonders to preserve and grow a media program’s audience. Even when John Oliver took over for Stewart one summer, the show famously kept the name The Daily Show with Jon Stewart. So just how important is a central personality to a media brand’s appeal? And how far can one person carry (or in Williams’ case, sink) an entire news institution? Ultimately, it depends on the diversity of the program’s offerings. Is there more to the show than the person delivering the news? Are there classic segments or consistent running themes? How strong is the brand’s personality and how unique is the reporting? If I were an NBC executive right now, I’d be concerned about this in regards to Nightly News. I don’t know about you, but I can’t name a single thing about that show other than, “It’s hosted by Brian Williams.” Well, was. The news delivered on that show isn’t exactly magical content that you can’t find in thousands of other media outlets. And it doesn’t help that viewers, especially we the coveted millennials, now trust the whole program less, if we even cared about it in the first place. I think The Daily Show, on the other hand, will be fine. Losing Stewart will be a blow to the brand, for sure, but audiences loved the show before Stewart joined years ago and they will continue to love it in the years following Stewart’s departure. Why? For one, it has a stellar supporting cast that’s produced countless other fan-favorite personalities over the past few decades. And its award-winning production staff isn’t just going to give up on the masterful program they’ve spent years refining – and to which they’ve consistently added relevant content that appeals to a wide range of viewers across different mediums. In other words, consider the number of Daily Show YouTube videos that have gone viral compared to the number of Nightly News ones. So what does this all mean for media brands? Well, if you work at a company like The Economist, you’re pretty set. The brand delivers intelligent, varied and consumable content across print, Web and social channels (and events – that’s where a lot of the money is). It’s also such a trusted source that it doesn’t even need to attach the names of reporters to its articles. But if your journalism brand relies entirely on content produced and delivered by one key celebrity, just remember that person could always lose that clout in a matter of seconds – or move on to something new – and seriously screw your whole program. It’s January, and that means by now most pundits have shared their predictions around the biggest technology trends that will emerge this year. A few months ago, Gartner shared its list of the most transformative technologies of 2015, along with the ones that should command the most budget among B2B buyers. Prognostications abound around consumer digital trends, and many others have shared what they think 2015 holds for digital marketing. If we look at some of the biggest tensions, opportunities and dynamics going on where all these technology trends intersect—and if we look at where many of the largest marketing war chests are already being spent—it isn’t all that difficult to see where some of the most compelling narratives are going to emerge around technology in 2015. Here are a few of the overarching technology storylines that will unfold this year—and that will give technology companies of all sizes an opportunity to ride along with these rhetorical trade winds. The Changing Face of Privacy: Whose Data Is It, Anyway? The merging of digital and physical worlds, along with the intersection of analytics, mobility, pervasive computing, ubiquitous applications and the proliferation of everything-as-a-service, means our information is everywhere. That means there are no more secrets. Somebody is always watching everything we do, and after events like Target, Sony and last week’s hack of the US Central Command’s Twitter feed, everybody now knows that there’s no such thing as complete security anymore. It’s not a question of if, but when, we’re going to get hacked. And while security analytics companies profit from the shifting game of security—moving from preventing attacks to recovering from them quickly—the new question that will emerge is, what about privacy? Security is a technology. Privacy is a policy. More accurately, privacy is an agreement—who gets my information? Do I have a right to know who’s watching? How much should I care? There is a potent, latent tension between the benefits of all-automated world and the yet undiscovered human impact of a world without secrets—and that’s a storyline that will play out as hackers continue to do what they do, and as social networks and digital marketers continue to do what they do—trade on our information. Guidance: Focus on the human decisions, policy considerations and attitudinal shifts as much as the security systems and technologies that play out in this story. Engage in viral questions that challenge people to re-examine their attitudes about privacy, and spur discussion that reveals what value remains in personal data and where the responsibilities lie to protect what little privacy yet remains. Last year, Stephen Hawking, arguably the smartest man on the planet, said AI “could spell the end of the human race.” Machine learning, AI and all of its various manifestations, including the Internet of Things, wearables, and self-driving cars, are outpacing the ability to learn. Machine connectivity, social networks and communication technologies are, in some cases, beginning to degrade rather than enhance authentic human connection. And it’s ironic that we now begin to talk about the glories of “connectivity” when in fact clinically diagnosable addictions to devices, applications and virtual experiences are threatening to stunt the personal and social development of an entire generation. But what’s most at stake is the ability to learn and adapt to constantly shifting environments. This is the new Darwinian race afoot: how quickly can humans learn and thrive in shifting environments on the one hand, and how much faster can machines do the same on the other. It’s progressed far beyond the cost savings and profit-boosting of industrial automation. It’s about who’s on top—people or things? Guidance: Focus on promoting technologies that are in service of rather than in place of human learning, human collaboration and human development. Position them as the ones to watch in 2015, and raise the stakes beyond financial ROI or consumer experience. This is the context for narratives around human-first technologies such as digitally enhanced education platforms, data visualization, unified communication 2.0 and collaboration platforms, and many others. Looking at some of the technologies that have dominated our attention at the past few CES shows, it’s easy to shift in our attitudes about technology. It’s no longer about merely consuming things like content via amazing screens or music via amazing audio equipment. It’s about our ability to produce things and create our own experiences. 3D Printing, self-publishing online, citizen journalism, virtual world-building, application development by the masses, and even digital enhancements to everyday tools all give us the ability to build things, make the most of existing resources, and share them with each other. Even the rise of what many last year called the “sharing economy” is a function of this shift away from thinking of ourselves as consumers toward thinking of ourselves as producers. Guidance: As technology storytellers, focus more on what your audience can create and do with your product or service. Focus on what they need to invent and build. And if necessity is the mother of invention, begin your story with their necessities, and offer them a new way of looking at their challenge—one in which they become the hero of their own story. And position yourselves as the ally who equips the hero to meet their own need. Most importantly, challenge the myth of scarcity in your storytelling. We have enough fear and greed in the world. The time has come for marketers everywhere to shift from using the stick to using the carrot to motivate behavioral change. It’s time for our desire to create to trump our fear of not having enough to consume. Guidance: Whatever storytelling model you wind up choosing (and naturally, we highly recommend our own Viral Storytelling model as a starting point), make sure you reverse-engineer your story creation process to break through the noise. Start with an analysis of the story arcs, influencers and media cycles that already exist. Sometimes it makes sense to ride a wave. Sometimes it makes sense to invest in creating a new wave. And sometimes the best strategy is simply to question the myths, misperceptions and overabundance of hype generated by your competitors. These are just a few of the big storylines of 2015. There are several more, and we will continue to explore them together in our XTC column as the year unfolds. It’s a cliché that I personally dread, but in 2014, content certainly made a strong claim to the marketing throne. It was as if everyone that worked in any flavor of marketing job suddenly thought, we need more content in our lives. We need to produce more. And we need to talk about it more. One problem. A lot of that content was…well, how can I put this? Not exactly worth sharing. This thing is, with so much content being produced by so many people every minute of every day – the stats are kind of crazy – the bar for what constitutes “good content” keeps rising. Mark Schaefer’s Content Shock concept analyzed the situation perfectly in what must have been one of the most talked about pieces of content on content of the year. And that post was from January 6, 2014. Despite the obvious diminishing margins of return, marketers still wanted more. It was the key to unlocking the value of social media. It would transform SEO. It would engage audiences in new and exciting ways. It was very cool stuff and like Oliver Twist, all you needed was more. Except that wasn’t really the case. Marketing content had already been increasing like crazy for years. It was just 2014 when it seemed to become vogue. But instead of looking for simply more content, brands should have been looking at things a different way. After all, simply writing more newsletters, automating social media feeds, producing more infographics or launching more company blogs/magazines/YouTube channels/LinkedIn profiles/Facebook pages/carrier pigeon programs (well, that one might work) was never going to be more than a very short-term solution. Targeted: Funny how we often miss the most obvious things. And while I know the obligatory goal of any piece of content is to go “viral,” you haven’t got a hope in hell if you start by targeting the masses. All too often sweeping statements are used to describe target audiences – “IT decision makers” and “the C-Suite” are classics – when in reality, we need to really invest the time to understand exactly who we are hoping to talk with. What are they interested in at work? What are their interests outside of work? Where do they go to find information? Who do they trust? What makes them laugh? By answering those kinds of questions, you suddenly have a wealth of information to inform your storytelling. Real: I was going to call this authentic, but that in itself felt a little fake. As if the aim of your content is to engage an audience in some way or another (in other words, the aim of 99.999% of all content marketing), then it has to be like a real conversation. That means the content won’t have marketing messages masquerading as stories. It could reference interesting data/insights your competitors have shared. It will be designed for the real world rather than your executive suite and it may not even refer to your company, product or service at all. Crazy? Maybe. Interesting, different and shareable? Definitely. Visual: I might be dipping back into clichés, but simply put, a picture tells a thousand words. You can no longer afford to ignore video and other visual assets. In an increasingly mobile and social world where your story might have a solid five inches of real estate, they are now the price of admission. And don’t just think infographics. Think instead about the cool content you share with your friends – everything from gifs and Vine/Instagram videos to video-embedded content and video storytelling. A couple of great examples are GE’s cool #6secondscience and #GravityDay campaigns and the YouTube Rewind series. Integrated: Yes, it’s cheaper. Yes, it’s simpler. Yes, it’s faster. But just producing standalone pieces of content is, in most cases, a waste of time. Content now needs to not only integrate visual and written assets, but also be a fully integrated part of your social, SEO, PR and advertising strategies. Don’t just think in terms of “one-offs” and instead take a leaf out of the HBO or Showtime book and think of entire series. That gives your audience something they can rely on, a reason to come back. And what’s more, developing content should be a core part of your team’s skills, because with so much integration required, outsourcing content to separate departments or teams is counter intuitive at best. Part of It: Don’t be the person that walks into the bar and immediately tries to change the conversation. Listen, watch, care and ask. We have talked a lot about the power of the right question, but great content is about more than just that. It needs to be in the right voice, be relevant to popular culture, timely and something that people not only find helpful, but also enjoy. A tough ask, but we now have the listening and measurement tools that give us unprecedented insights into our audience’s likes and dislikes. By using that information correctly, content can be constantly fine-tuned. That’s right. It’s a lot of work. But when we get it right, the payback is huge. And of course, telling a story that gets people talking is the really fun part about our jobs, and with all the changes that have taken place in PR, we now have more opportunity to do that than ever before. So rather than just focusing on “more” content in 2015, think bigger and look at how you can produce “different” content. It will lead to a very different year. It’s easy to fall back on the number of years’ experience we have. We all do it. It’s often a badge of honor on LinkedIn profiles, many agencies boast the collective experience of their management teams and it’s clear from a quick look through our website that we are proud to be one of the longest established tech PR agencies in the world. But how important is it? How relevant is experience gained in the eighties, nineties and even noughties to the way we engage audiences today? And can experience be more of an anchor than an asset? The answer of course depends on how that experience is applied. As the Harvard Business Review recently pointed out, the way that marketers engage customers has changed beyond recognition in the past decade. And PR has been at the forefront of that change. The changes across traditional, social and digital media have been well documented (and they are nothing compared to what will happen next with mobile), but knowing the changes and understanding the implications can often be two very different things. When trying to navigate these changes, there can be the temptation to lean on past experiences. But when, as the HBR explains, “strategies and tactics that were cutting edge just a few years ago are already becoming obsolete,” that can be a dangerous approach. Take messaging and positioning. Almost every traditional PR program contains a messaging exercise, but to get people’s attention in today’s economy, such exercises are about as relevant as a mission statement pinned to the wall. Instead, over the last few years, people have begun to recognize the power of storytelling. But just like in Hollywood, all stories are not created equal. If storytelling fails to tap into the audience’s imagination and follows the same structure as traditional messaging projects, it simply becomes the same old marketing messages masquerading as a story. And it’s not just the larger strategic initiatives where rigidly applying past experience can be less than helpful. As even if we do completely rethink exercises like messaging and positioning and adopt approaches such as viral storytelling, it’s not much use if we then use the same tactics from 10 years ago to tell said story. To look at how those tactics have changed and see if experiences from the past can still be applied, the next post in this series will take on the changes in the way we reach our audiences. Receive notifications of new posts by email.